AB Ceramic, The Leading manufacturer of weather proof tiles, heat resistant tiles, cool roof tiles, heat proof ceramic tiles and terrace tiles. We offers terrace tiles fixing & terrace waterproofing services. 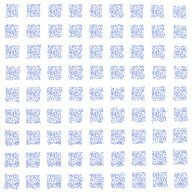 We have light weight S.R.I Tiles, 300x200x7 mm size; these tiles are ideal for economy budget new terraces as well as for very old existing terraces. These tiles are suitable for roof top / terrace due to ability to reflect solar heat. Solar Reflectance Index is 95. 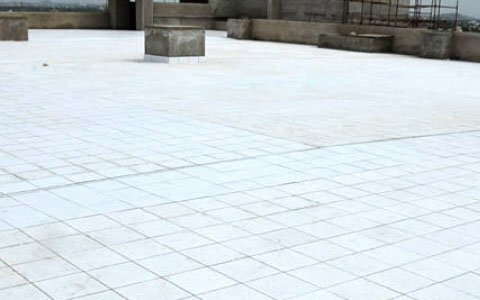 ABC Bond is a powerful chemical used to give permanent bond between terrace floor - abc mortar - abc tiles. ABC mortar is based on ASTM C270 TYPE N combination. 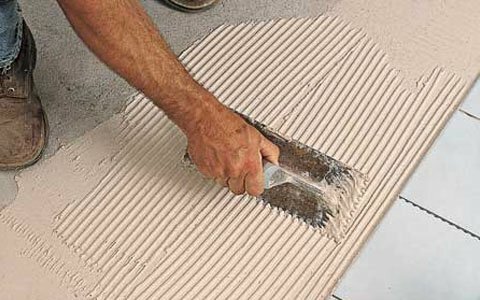 Our main business is mfr and supply of ABC weather proof SRI tiles for terraces. 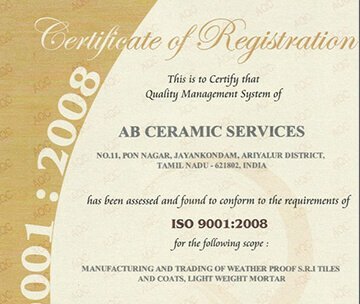 AB Ceramic Services started by G. Arivazhagan, M.Tech (ceramics). Worked in various ceramic industries since 1983 in India, abroad and finally settled in Morbi, Gujarat from 2002 onwards. Worked as a technical consultant in the field of Frit making and Tiles mfg. Finally started an own tiles showroom; helped many dealers and mfrs for the trading of ceramic tiles. Expertising in selling weather proof tiles, also manufacturing Rooftop - cool roof tiles best suiting for the new terrace & old terrace that are heat resistant. These moisture-resistant Ceramic tiles are conducive in adapting itself in any hot burning climatic conditions in the open terrace. The concept of cool roof tile was conceived from many angles and finally decided to outsource in ABC brand. Thus new generation terrace floor tiles are now designed by us are adaptable to various temperatures and provide good sustainability in a long run. Our sister concern Thamizh Ceramics at Jayankondam, Ariyalur district, Tamil Nadu has been selling high-quality ceramic cool roof tiles since 2004. Through Thamizh Ceramics, more than 50000 sq ft of cool roof tiles have been sold out including 3000 sq ft to a builder in Chenglepet. All customers are satisfied. This gave more strength and confidence to go for an exclusive brand. 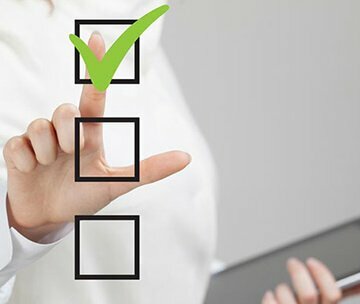 Our dedicated marketing associates are in Chennai, Trichy and other areas. 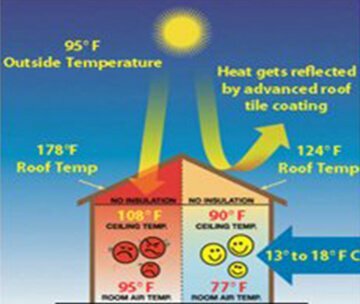 A properly designed ceramic tile can be used for Heat Proof and Water Proof on the terrace. 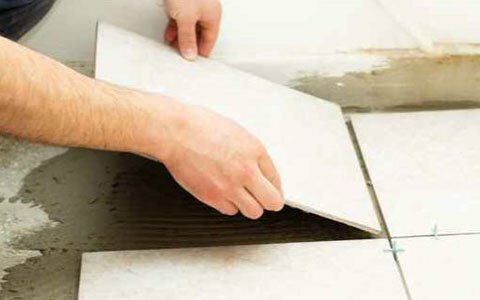 The life of such tiles are unlimited when they are fixed and maintained properly. Hence helps for a Sustainable cool roof / terrace. Traditional concept and Green Building Material. Talc 1 / Gypsum 2/ Fingernail 2 to 2.5 /Copper 3/ Steel Knife blade 5 to 5.5/ Vitrified Tiles 7 to 8 / Diamond 10. abc Tiles fixing system is sustainable and can resist wind with rain up to 150 kmph. This can be confirmed by RILEM TEST METHOD 11.4.
" 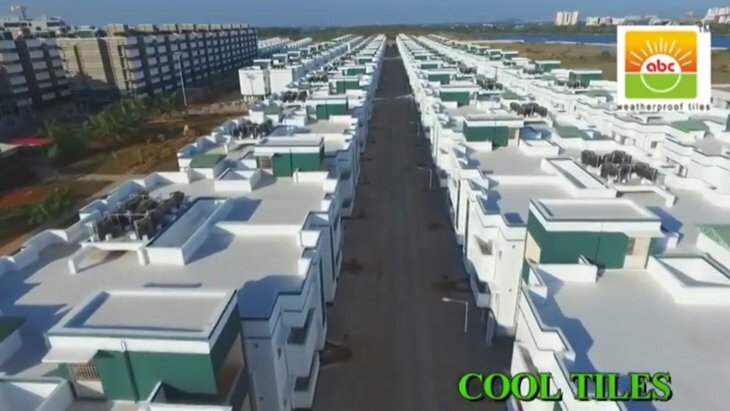 I am glad to inform you that your cool Tiles provided in Bellonii Construction Flat at perungudi, OMR has got full effect, we don't feel any increase in temperature during this summer. The temperature in our floor I.e below terrace is equal to other floors. 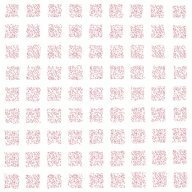 Thanks for ABC cool Tiles . I have recommended to few of my known friends, hope all shall enjoy the benefits of your roof Tiles. 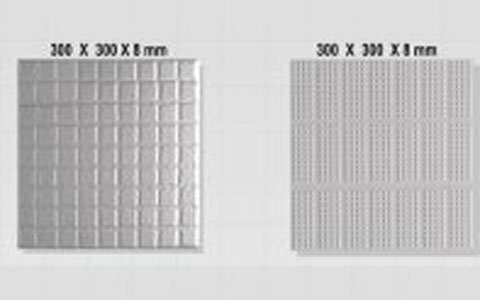 All the best & keep growing Sir "
The ceramic tile is 9 mm thickness with >32% open pores. These abc tiles are suitable for Green Buildings targeting IGBC LEED certification. abc Weather Proof SRI Tiles are ECBC compliant. These tiles are 9 mm thickness with different color. The embossed surface is made antiskid effect with different colors. The grooves will remain as glossy for easy cleaning. 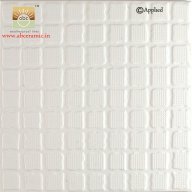 These tiles are unique antiskid for multipurpose (bath rooms, varenda and landscape areas etc). Awards and Honours for our achievements.